IT’S A POLAR LIFE FOR ME! Home → Blog → IT’S A POLAR LIFE FOR ME! In this modern age of hype and glitter where the salacious exploits of reality stars dominate our media and conversation, it’s sometimes challenging to recognize a real heroine when you see one. But society beauty turned rugged polar explorer Louise Arner Boyd (1887-1972) was the real deal. 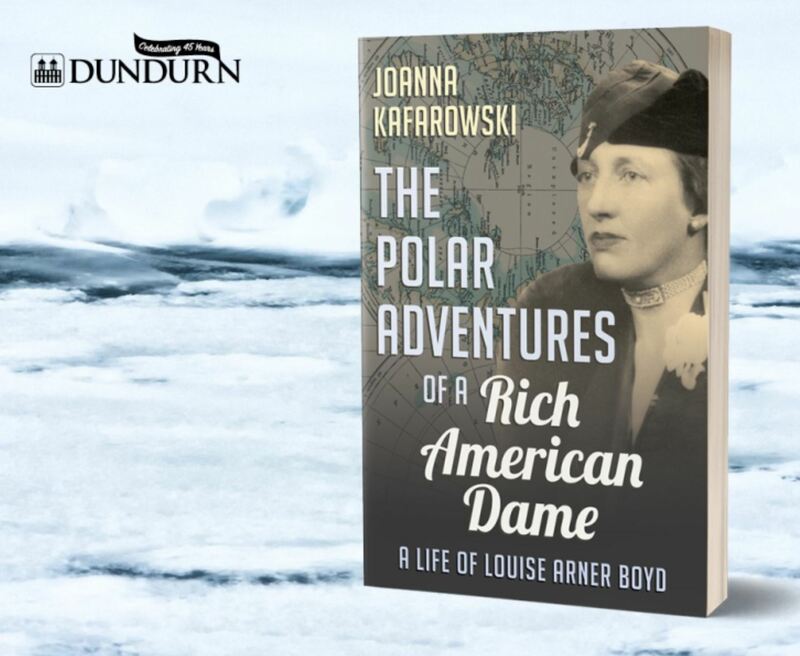 She is the focus of an exciting new biography entitled, “The Polar Adventures of a Rich American Dame A Life of Louise Arner Boyd” (Dundurn Press, 2017) written by Canadian geographer Dr. Joanna Kafarowski. Author Joanna Kafarowski with some of her polar region books and artifacts . In its own way, the author’s journey in writing the book has been just as exciting and demanding. Thanks so much for sharing this with us, Joanna. I had worked extensively with Inuit women in Canada’s north and was just completing my doctorate in Natural Resource Management when I happened upon the name of an audacious American woman who became one of the best known explorers of her time. After doing a bit of digging, I was hooked. I spent over ten years painstakingly researching Boyd’s life and criss-crossed Scandinavia and North America in my quest to leave no stone unturned. I interviewed hundreds of Boyd’s friends, colleagues, family members and descendants of other explorers. I pored over archives, visited Boyd’s homes, stood on the dock from which Boyd embarked on her adventures and even swept out the family crypt. I was ever mindful that this was the first comprehensive biography of Boyd and was committed to doing it exactly right. My own passion for the Arctic and my participation in a Last Degree North Pole Expedition served me well in understanding Boyd’s determination to return to this region again and again. Growing up in sun-kissed California, Louise Arner Boyd never saw ice and snow until she was an adult. As a child, she was a voracious reader and loved tales about daring polar explorers. She grew up learning about the tragic American explorer George Washington De Long on the ill-fated Jeannette Expedition and the sensational rumours of cannibalism during the tragic Greely Expedition. Later, she was riveted by the controversy over who had conquered the North Pole- Peary or Cook- that gripped the nation and the world. After inheriting a family fortune in her early thirties, she hired a ship and travelled north of the Arctic Circle where she developed a passion for the North. But her fate as an Arctic explorer was sealed during the summer of 1928 when she unexpectedly joined the international rescue mission to locate missing iconic Norwegian explorer Roald Amundsen. Between 1926 and 1955, Louise Arner Boyd organized, financed and lead seven hazardous expeditions far above the Arctic Circle. Travelling to East and West Greenland, Jan Mayen Land and Franz Josef Land, she hired scientists who were the top in their field and each journey resulted in new finds in geology, geomorphology, oceanography, botany and glaciology. Boyd was a fine photographer and produced thousands of detailed photographs and cinematic films that were used to produce maps of this remote region. 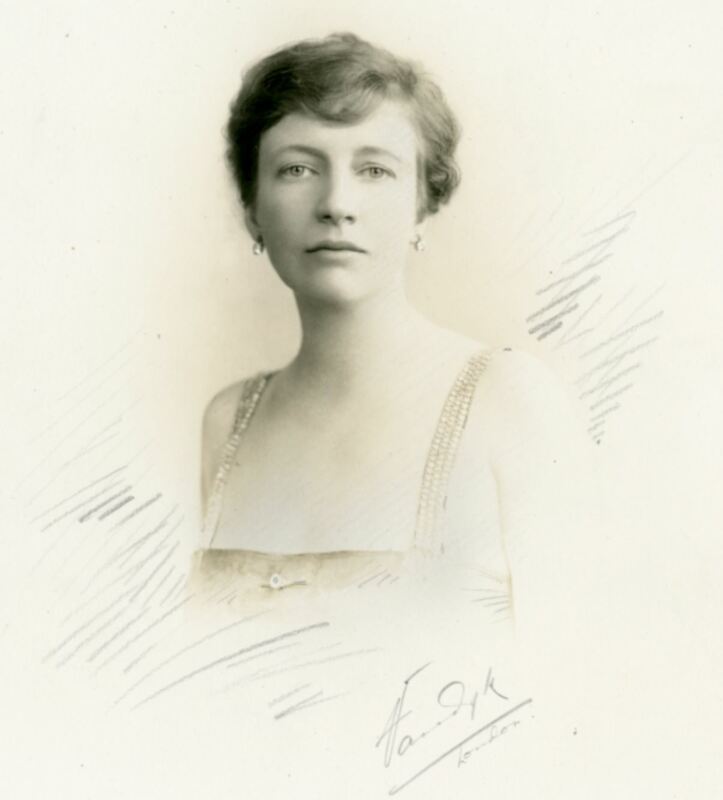 Supported by the American Geographical Society, she published several books about her adventures including The Fiord Region of East Greenland (1935) and The Coast of Northeast Greenland with Hydrographic Studies in the Greenland Sea (1948). Later, she was recognized as a leading Greenland expert and worked for American military intelligence during World War II. She was showered with awards and honours from several countries and was highly regarded by her peers. Most intriguingly, Louise Arner Boyd also lead a double life. Upon returning home to the United States following the conclusion of each journey, she resumed her life as a society woman and philanthropist who was actively involved in her community. Socialite. Geographer. Photographer. Botanist. Explorer. Boyd poured her personal fortune into expeditions aimed at advancing science and satisfying her own profound curiosity about the north. Yet, less than fifty years after her death, her extraordinary life and scientific accomplishments have been largely forgotten. Although I have spent over a decade ‘living’ with Louise Arner Boyd, I remain awed by my biographical subject. If anything, I have even more respect for her now than I did at the beginning of my quest. Currently engaged on a book promotional tour, I have presented on Louise Arner Boyd at the Library of Congress and Society of Woman Geographers in Washington DC and will soon embark on a whirlwind tour of California. 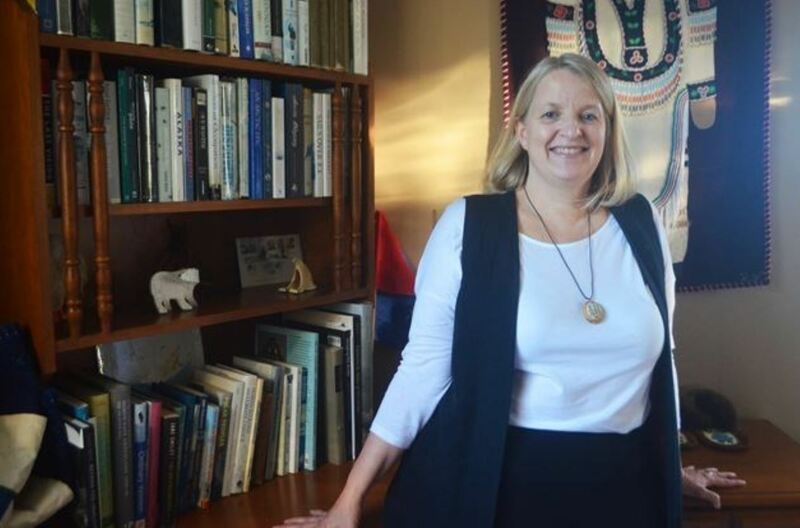 Recently, I was thrilled to accept a summer position as Guest Lecturer with polar cruise company Poseidon Expeditions and will be travelling on three cruises to Greenland, Jan Mayen Land and Svalbard- talking about Louise Arner Boyd the whole time! It’s an exciting opportunity I couldn’t turn down since part of the trip will be following the route taken by Louise Arner Boyd herself. The life of a polar biographer doesn’t get much better than that! Wow, I can only agree, Joanna. What a wonderful experience for you. And yes, I am very envious! CAN KATOOMBA'S PARAGON CAFE BE PRESERVED? Thank you. I only had to host this one for Joanna.